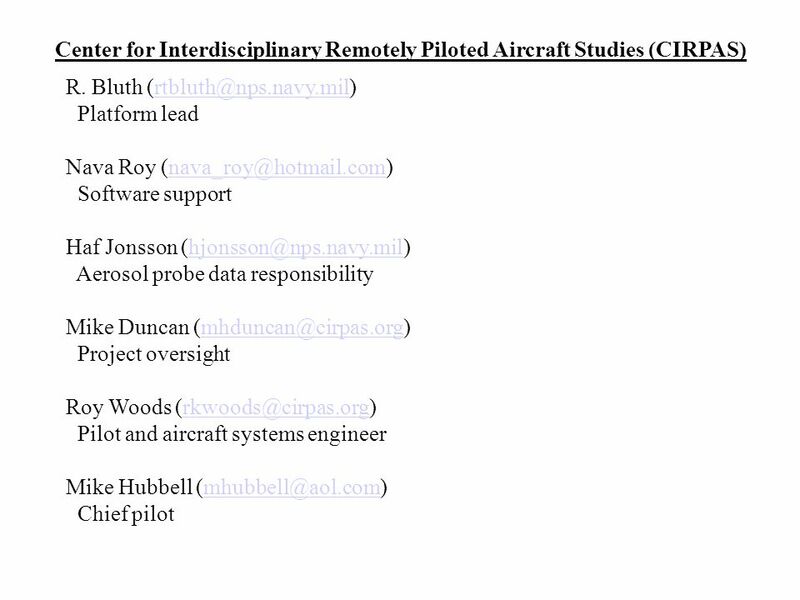 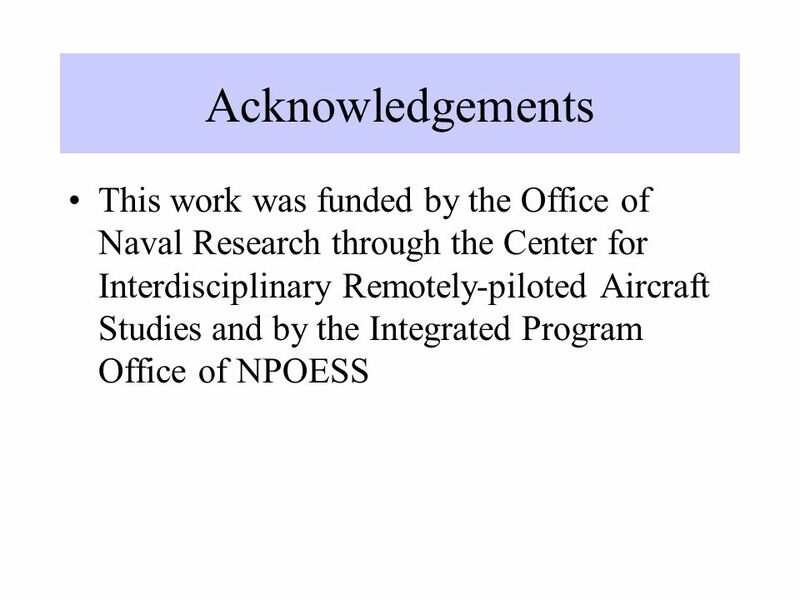 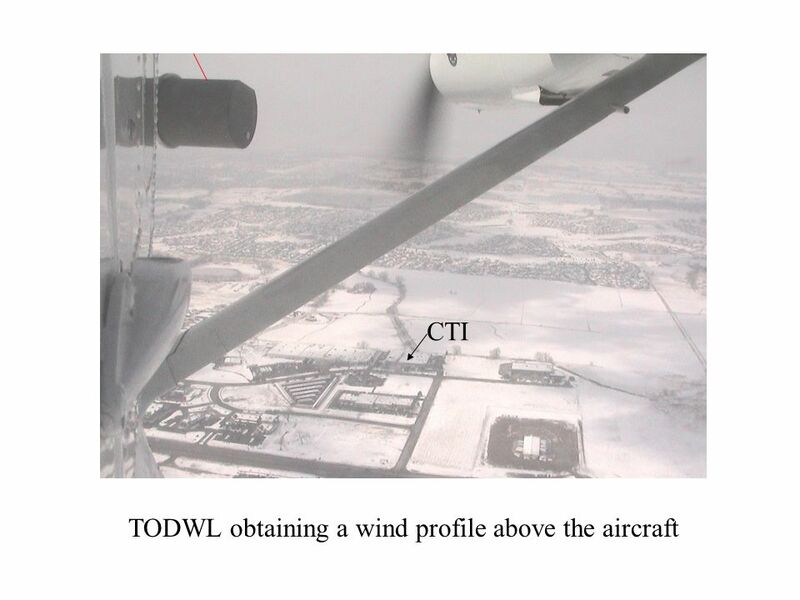 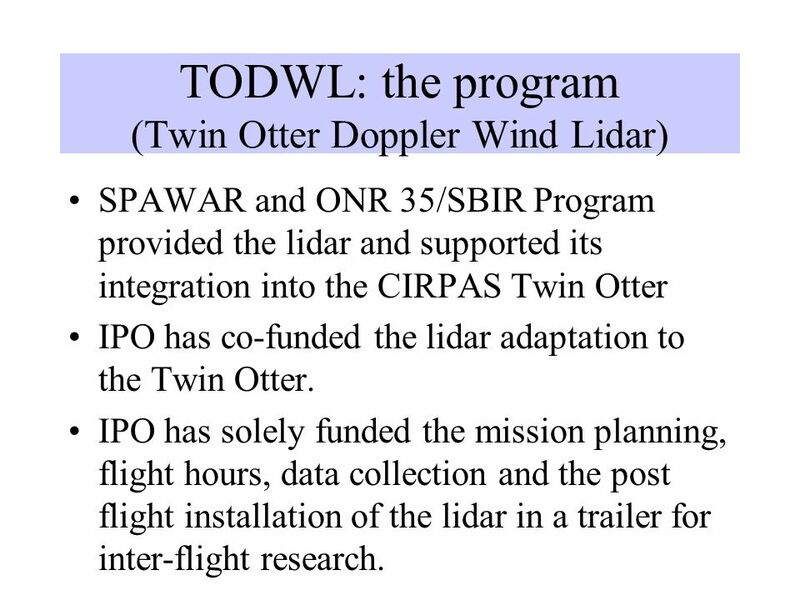 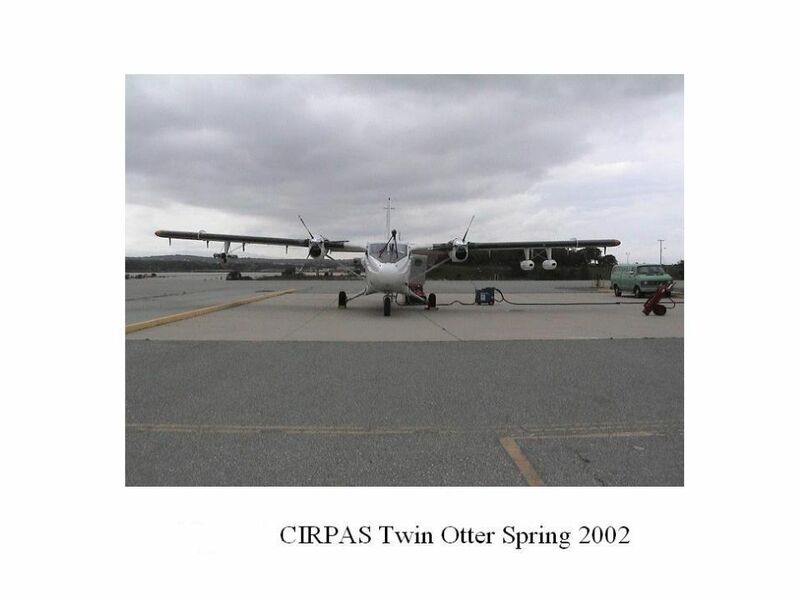 SPAWAR and ONR 35/SBIR Program provided the lidar and supported its integration into the CIRPAS Twin Otter IPO has co-funded the lidar adaptation to the Twin Otter. 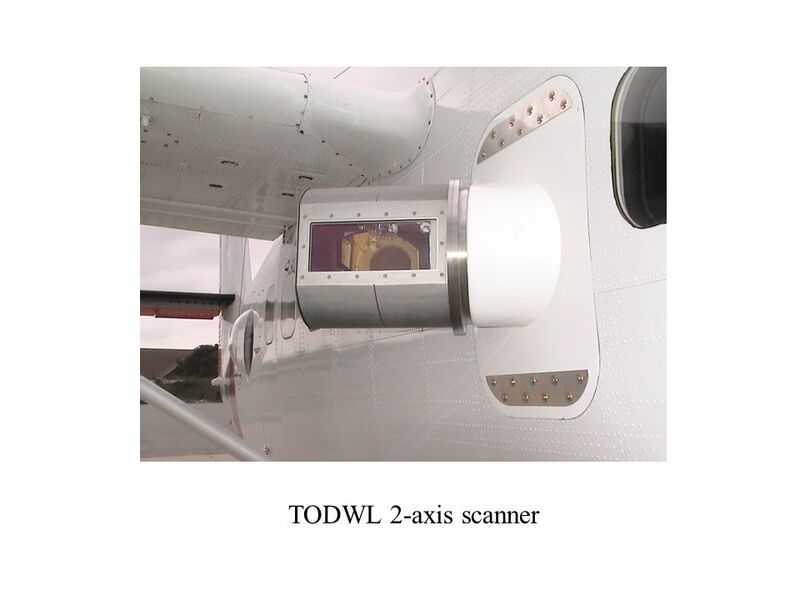 IPO has solely funded the mission planning, flight hours, data collection and the post flight installation of the lidar in a trailer for inter-flight research. 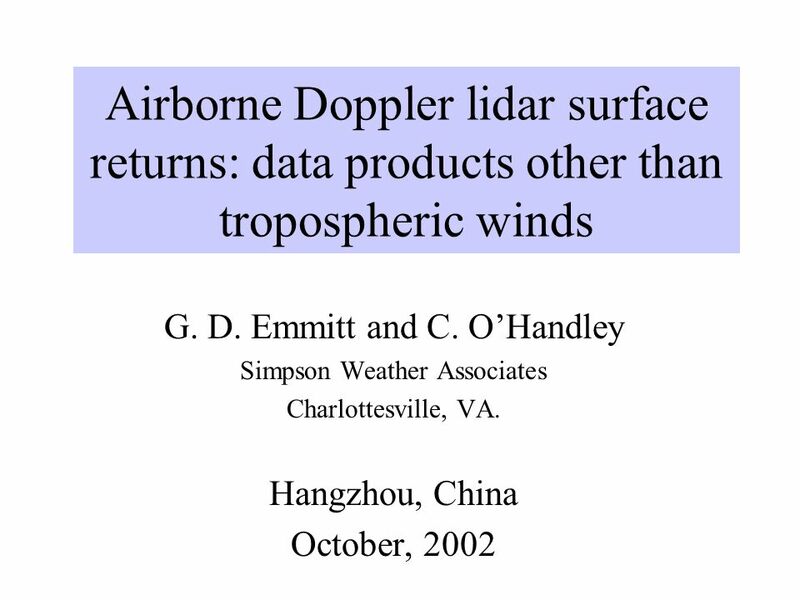 Download ppt "G. D. Emmitt and C. O’Handley Simpson Weather Associates"
Airborne Doppler Wind Lidars for Climate and Weather Forecasting G. D. Emmitt Simpson Weather Associates Charlottesville, VA.
Validation of meso-scale model winds in complex terrain and coastal regions using an airborne coherent Doppler wind lidar G. D. Emmitt, S. Greco, S. Wood. 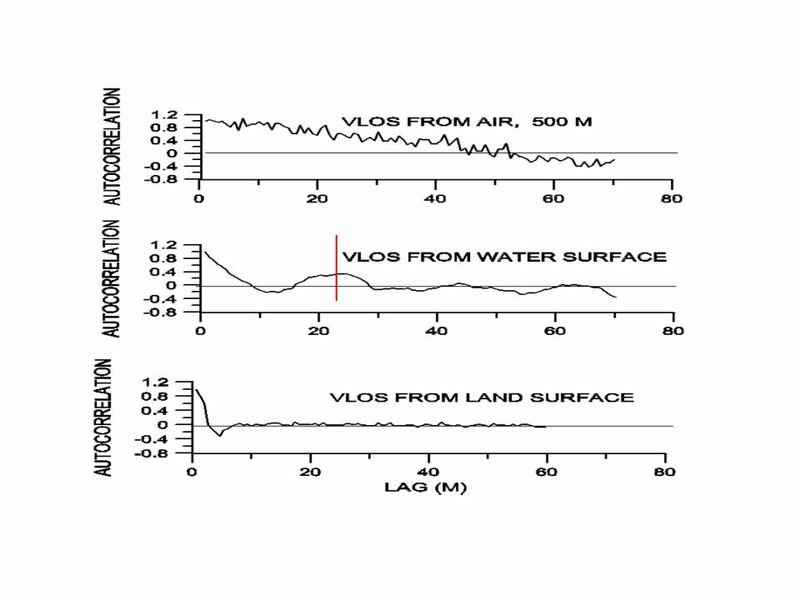 Institut für Physik der Atmosphäre Institut für Physik der Atmosphäre High Resolution Airborne DIAL Measurements of Water Vapor and Vertical Humidity Fluxes. 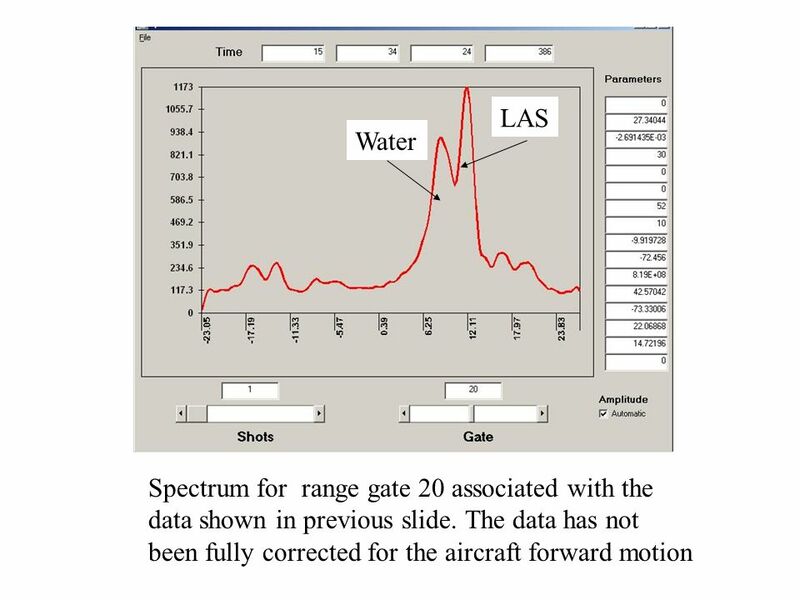 Institut für Physik der Atmosphäre Institut für Physik der Atmosphäre High Resolution Airborne DIAL Measurements of Water Vapour and Vertical Humidity. 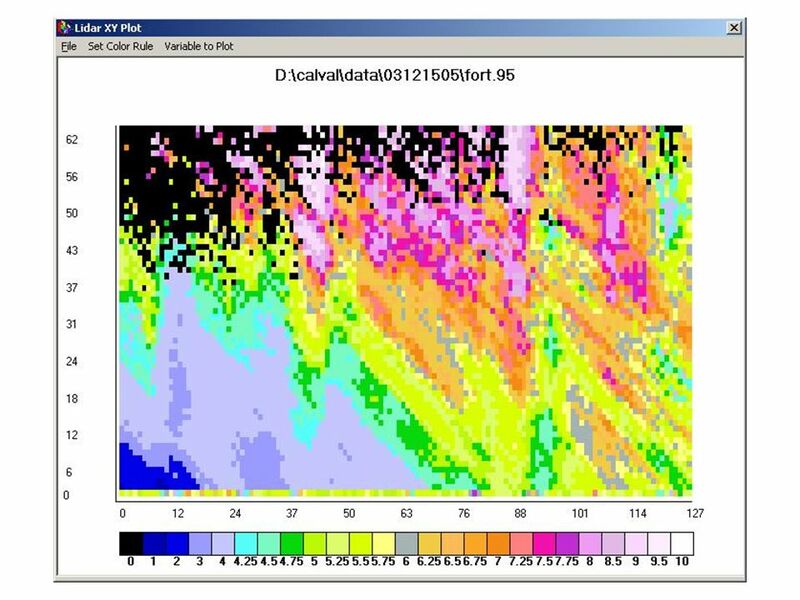 Presented By: Usama Ashraf ID: Terminal Doppler Weather Radar (TDWR): TDWR is a doppler weather radar system used primarily for the detection. 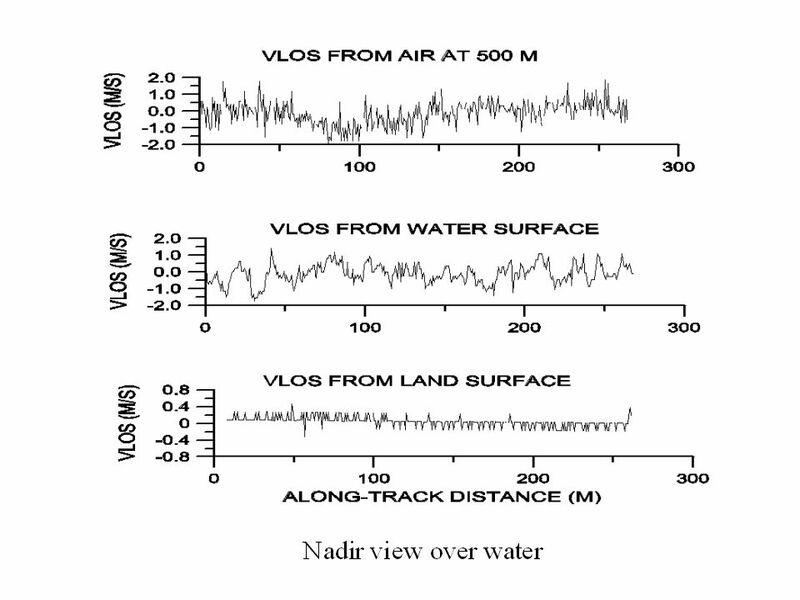 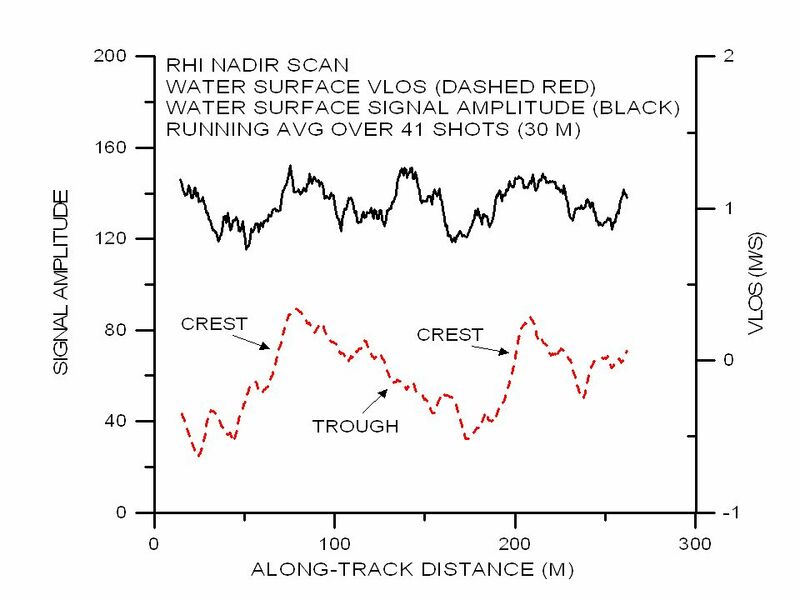 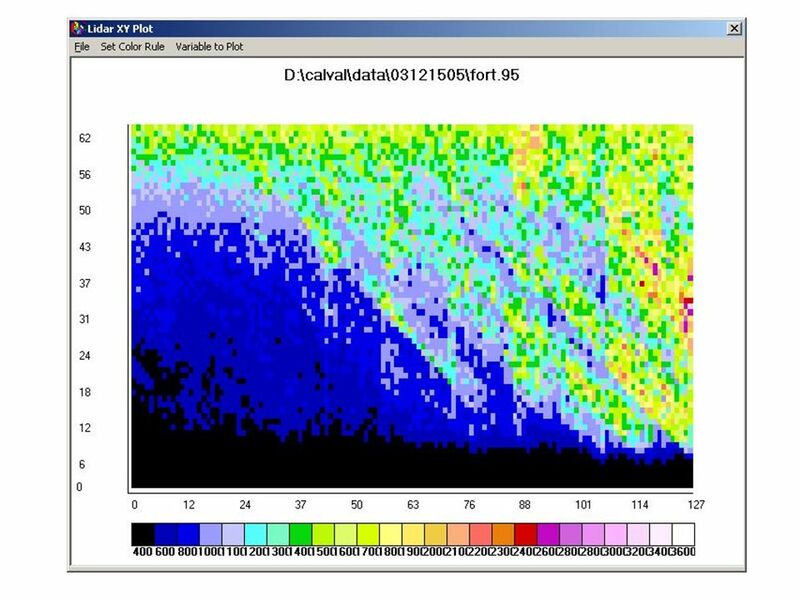 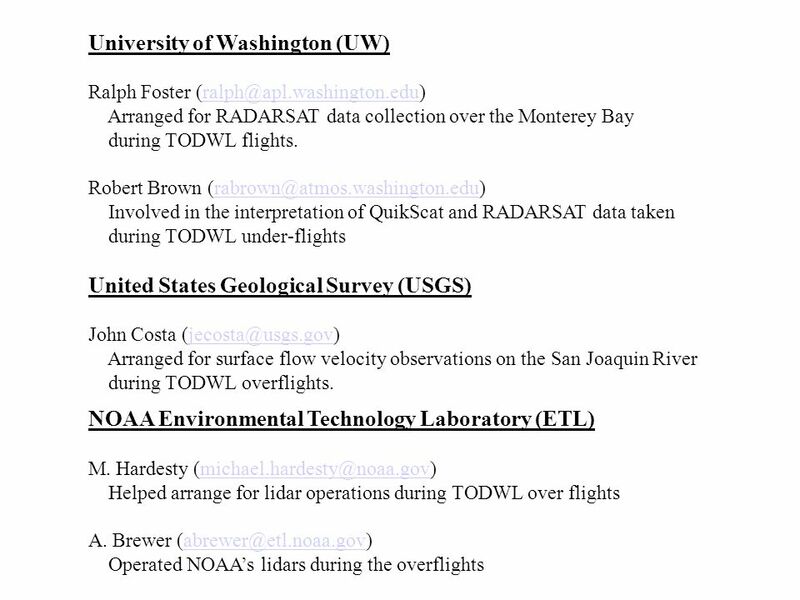 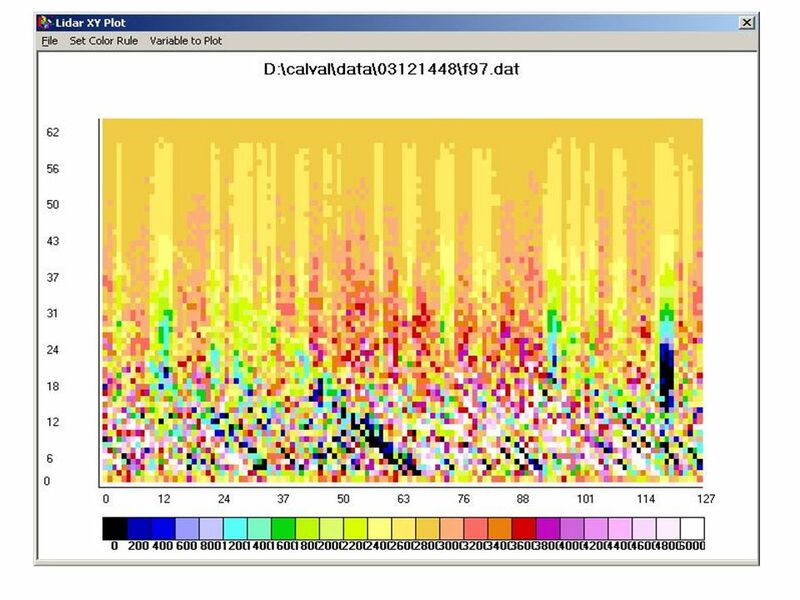 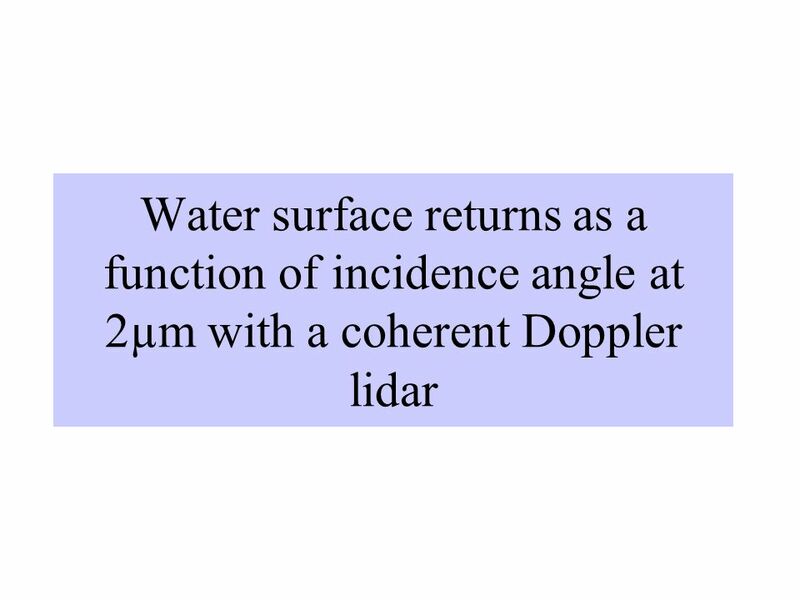 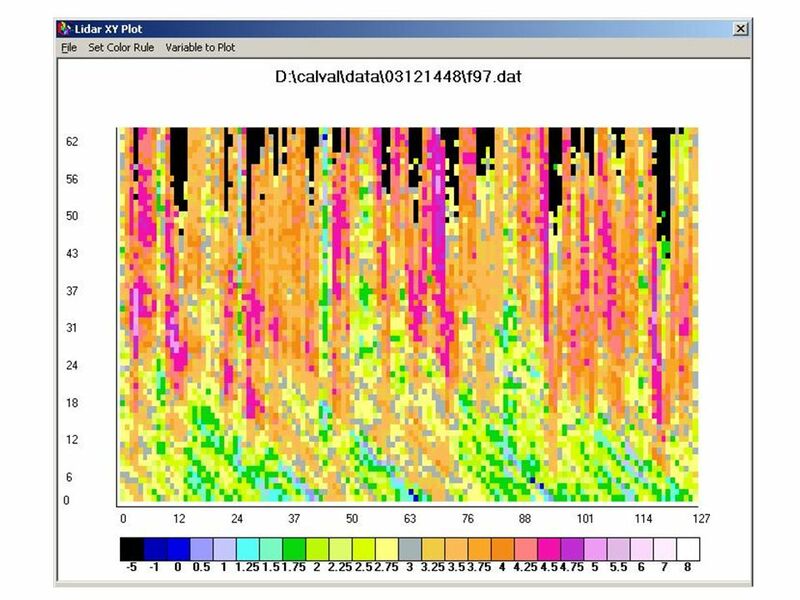 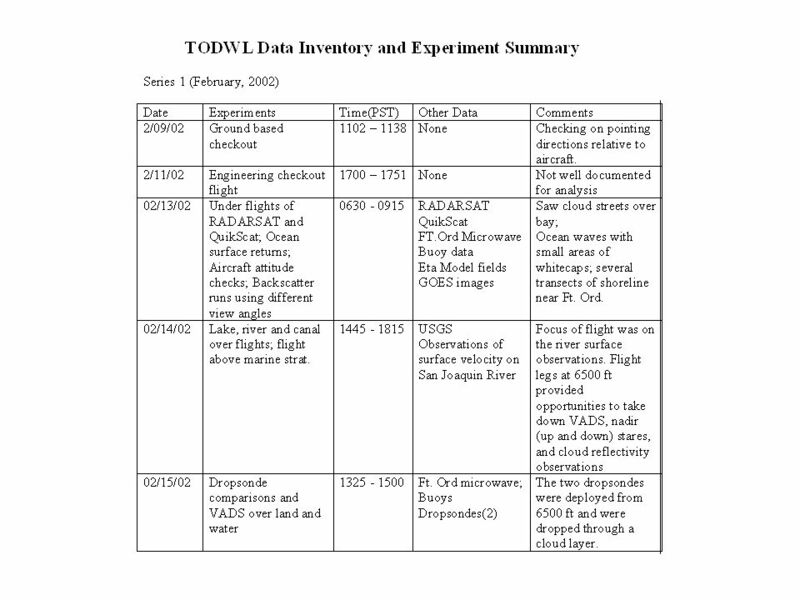 FlowTracker Bias Caused by Flow Disturbance David S. Mueller Office of Surface Water U.S. Geological Survey The use of trade or brand names does not imply. 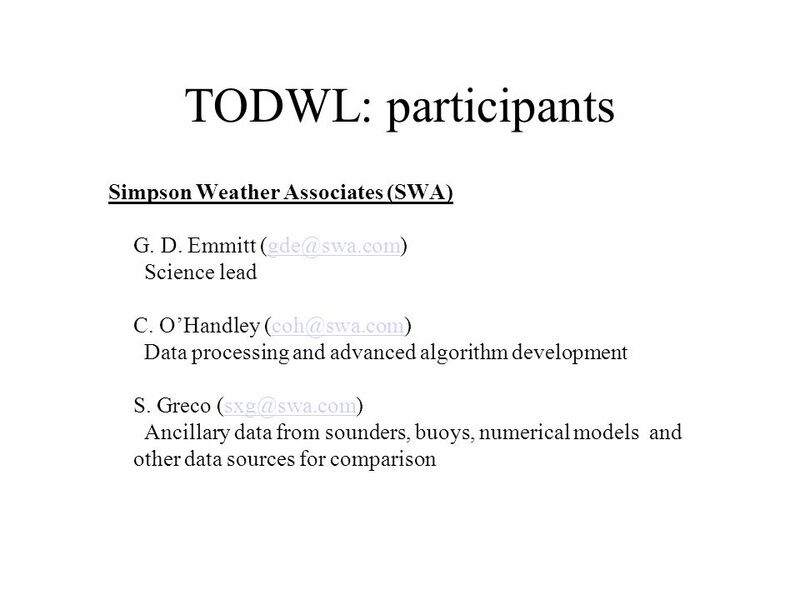 Two impact studies of airborne DWL data on tropical cyclone track and intensity forecasts G. D. Emmitt, K. Godwin and S. Greco Simpson Weather Associates. 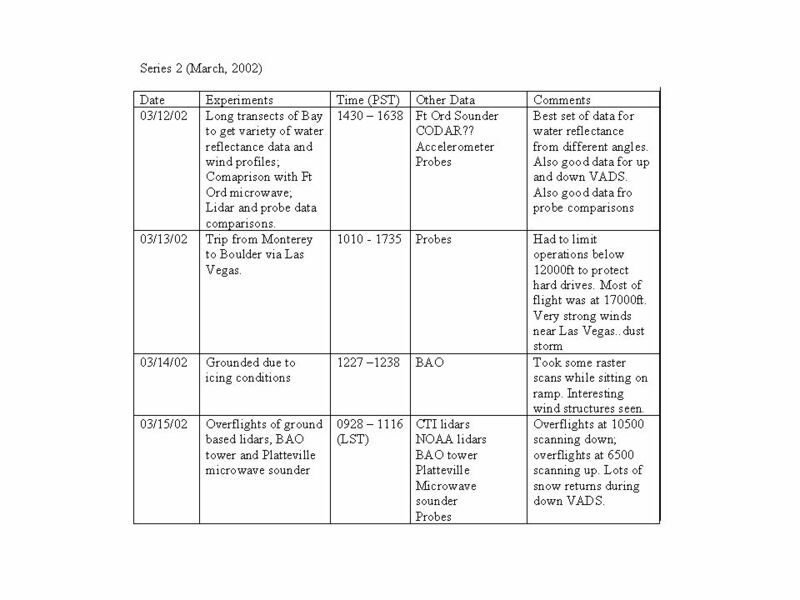 ESTO Advanced Component Technology 11/17/03 Laser Sounder for Remotely Measuring Atmospheric CO 2 Concentrations GSFC CO 2 Science and Sounder. 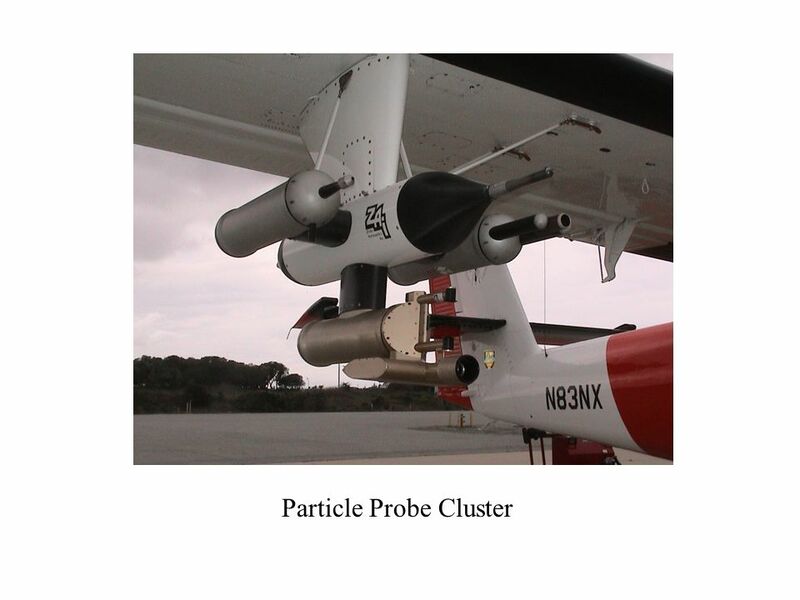 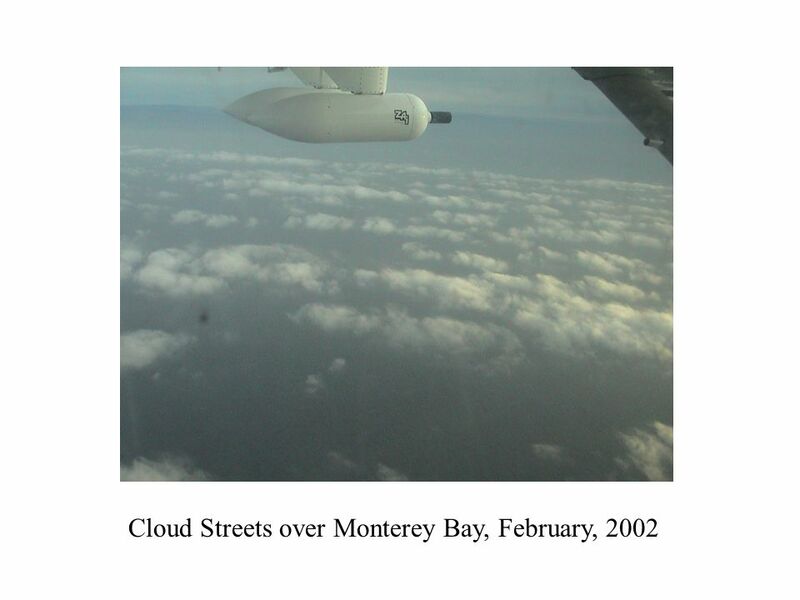 Uncertainty in Cloud Aerosol Transport System (CATS) Products and Measurements Presented by Patrick Selmer Goddard advisor: Dr. Matthew McGill Assisted. 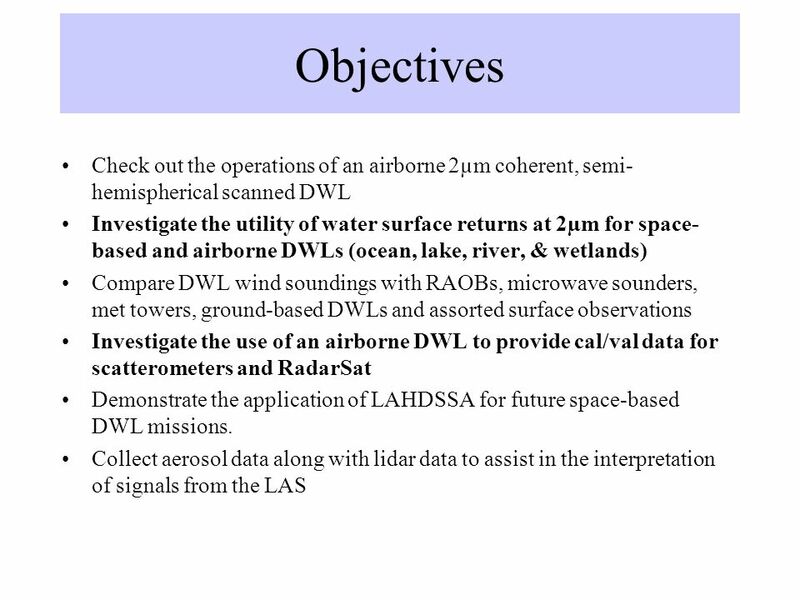 US Calibration/Validation Activities for the ADM/Aeolus Mission Mike Hardesty and Lars-Peter Riishojgaard. 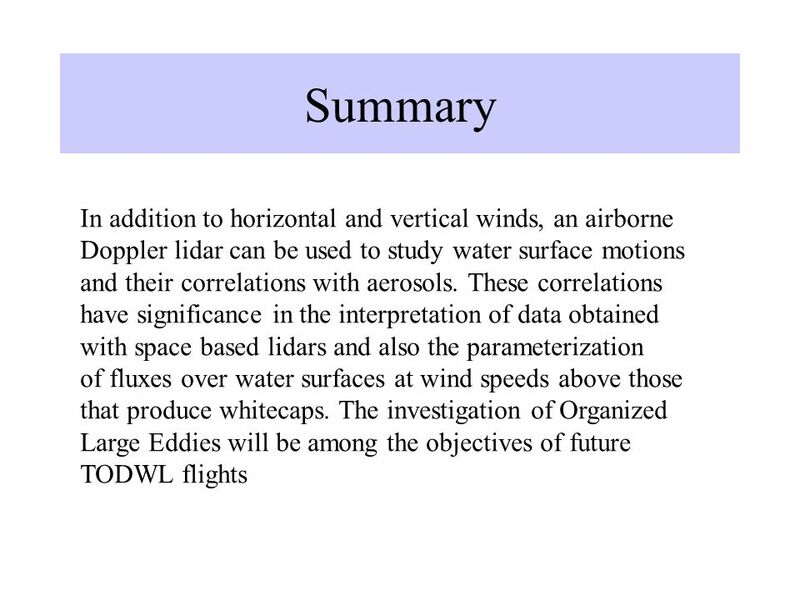 Working group on space-based winds January 27-30, 2009 Destin, FL Sara C. Tucker, Wm. 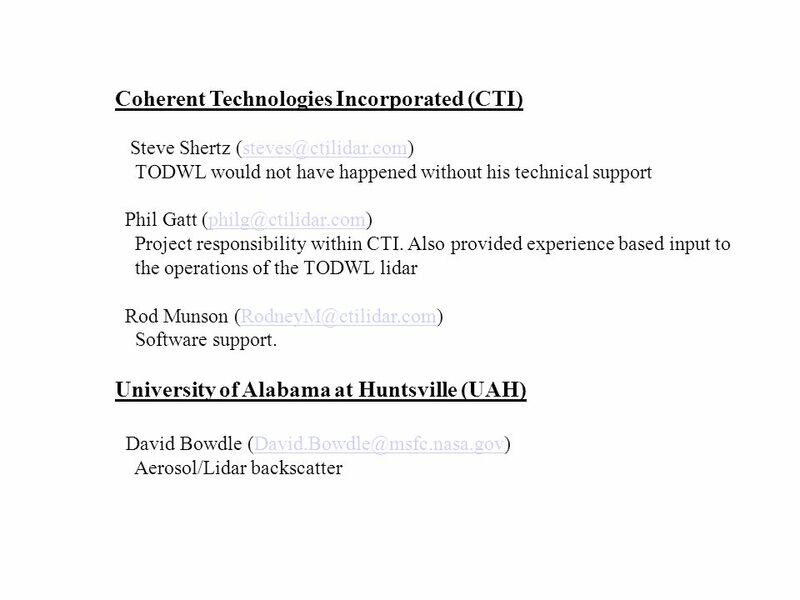 Alan Brewer, Scott Sandberg, Mike Hardesty CIRES, University of Colorado. 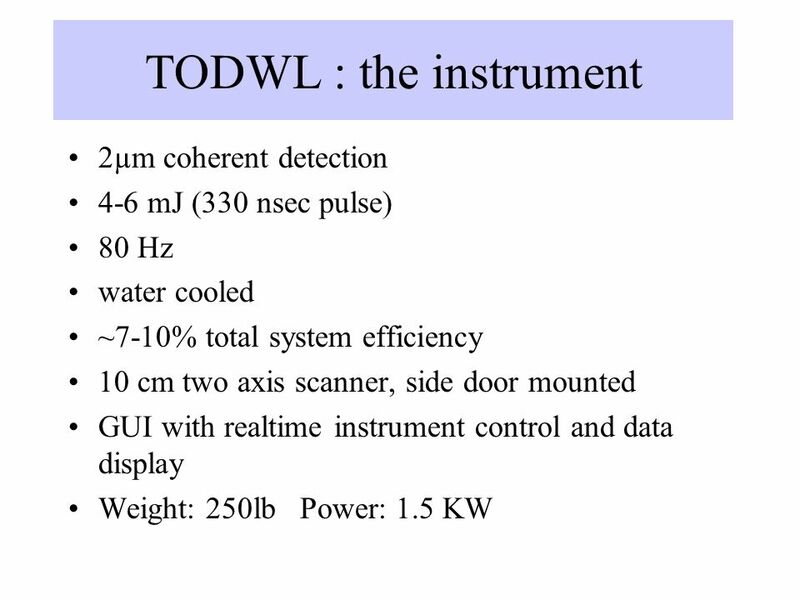 Geostationary Imaging Fourier Transform Spectrometer An Update of the GIFTS Program Geostationary Imaging Fourier Transform Spectrometer An Update of the. 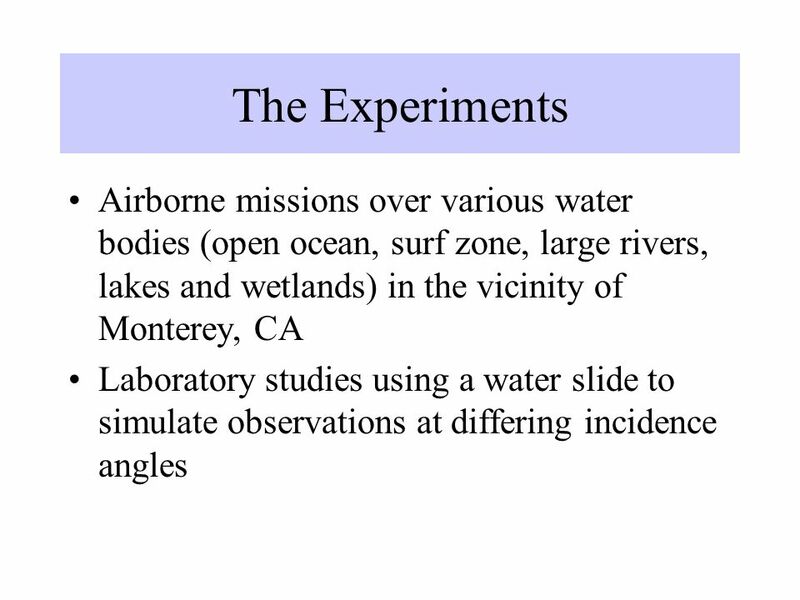 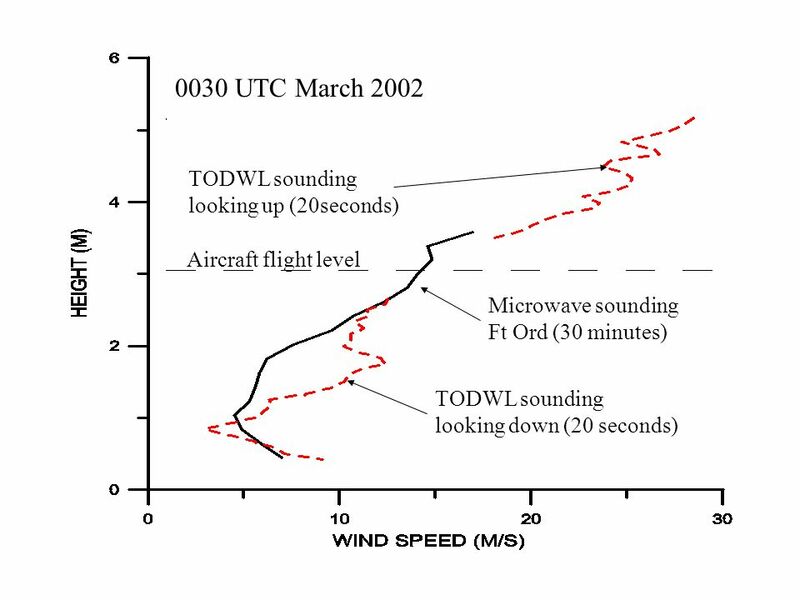 Observations and simulations of the wind structure in the boundary layer around an isolated mountain during the MATERHORN field experiment Stephan F.J.
NOAA Airborne Platforms n Mission Related – All NOAA airborne platforms perform some type of dedicated task defined by NOAAs mission n Not for General. 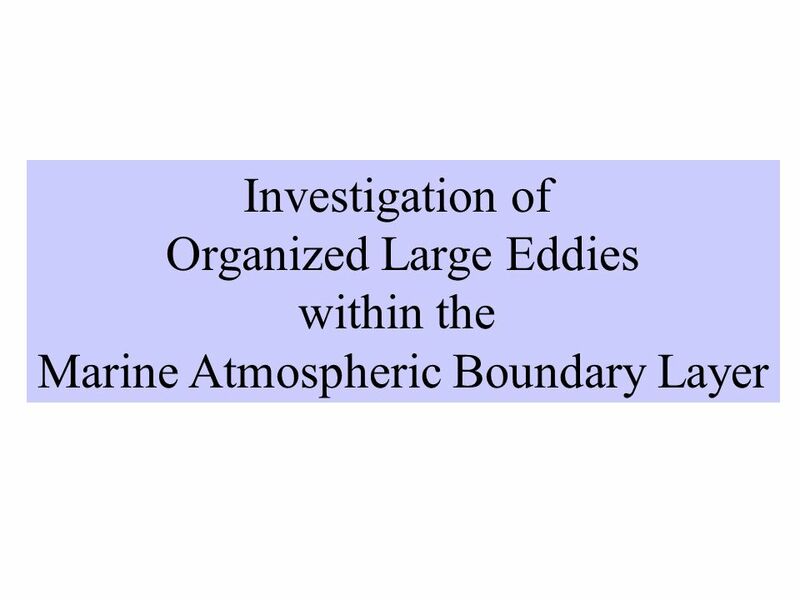 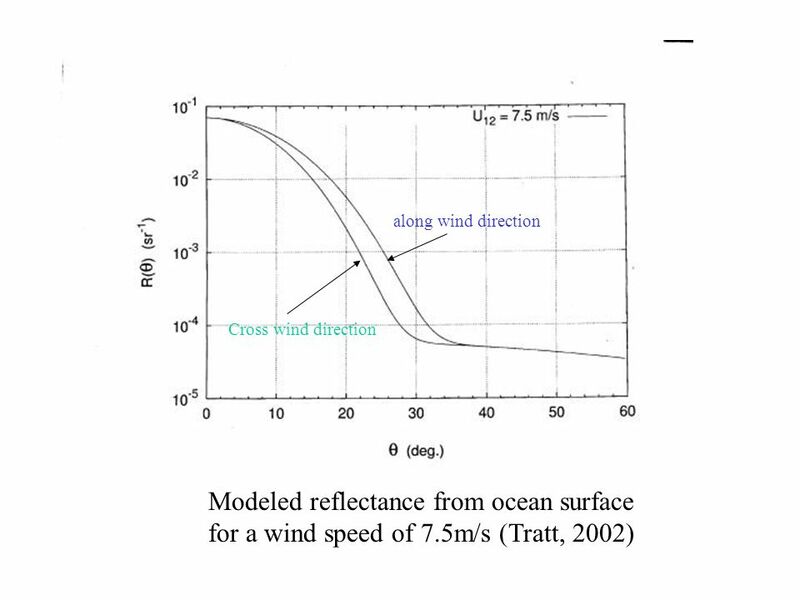 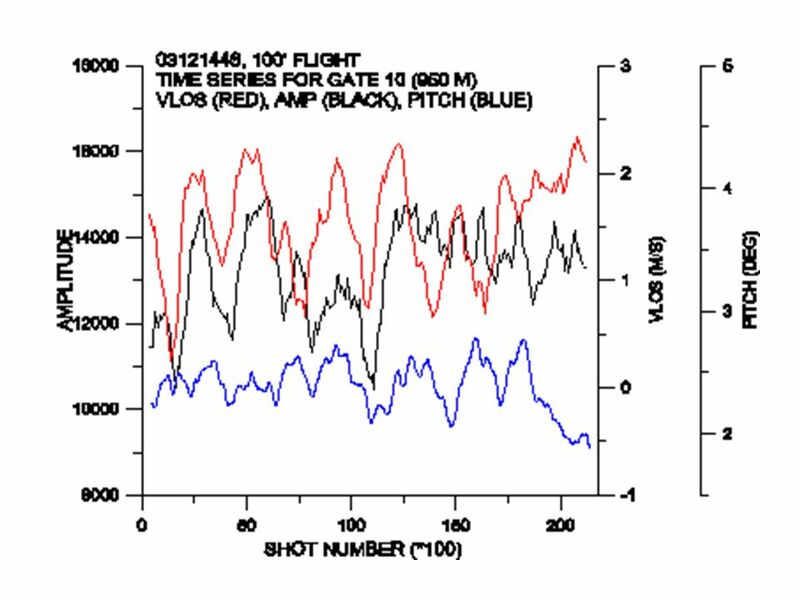 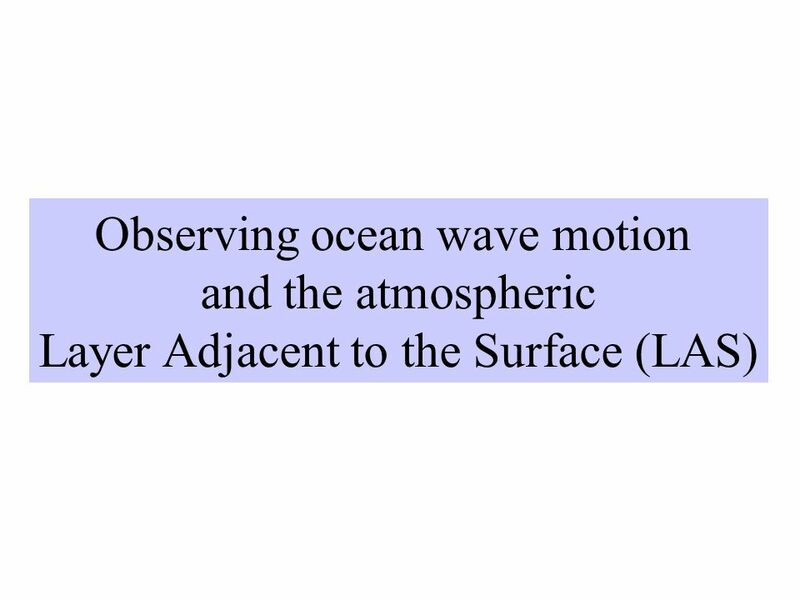 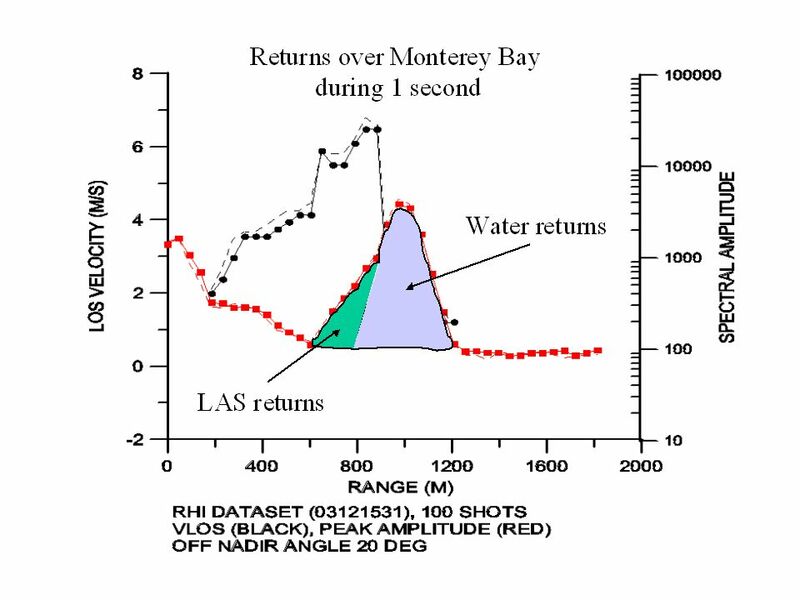 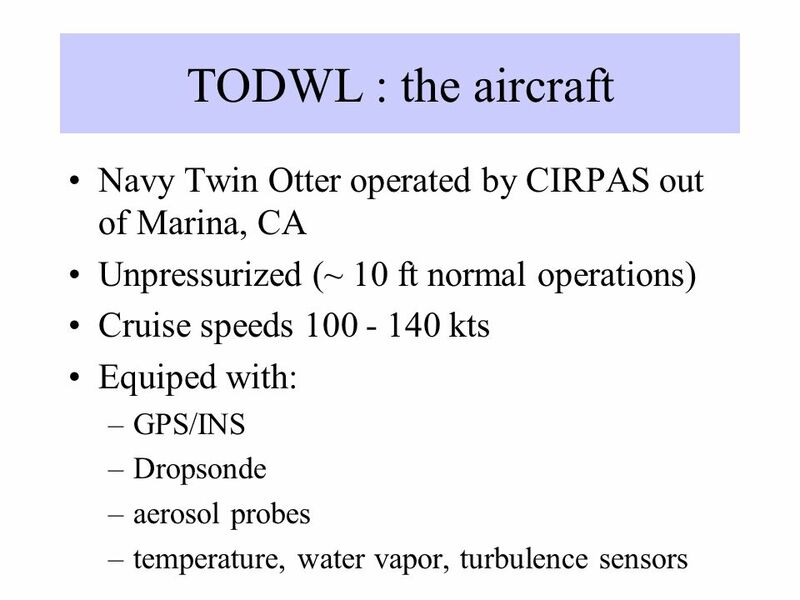 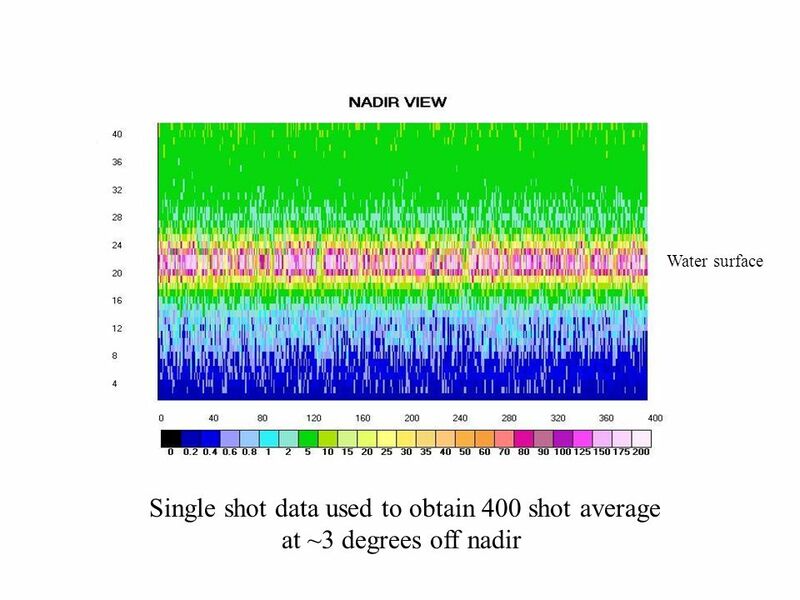 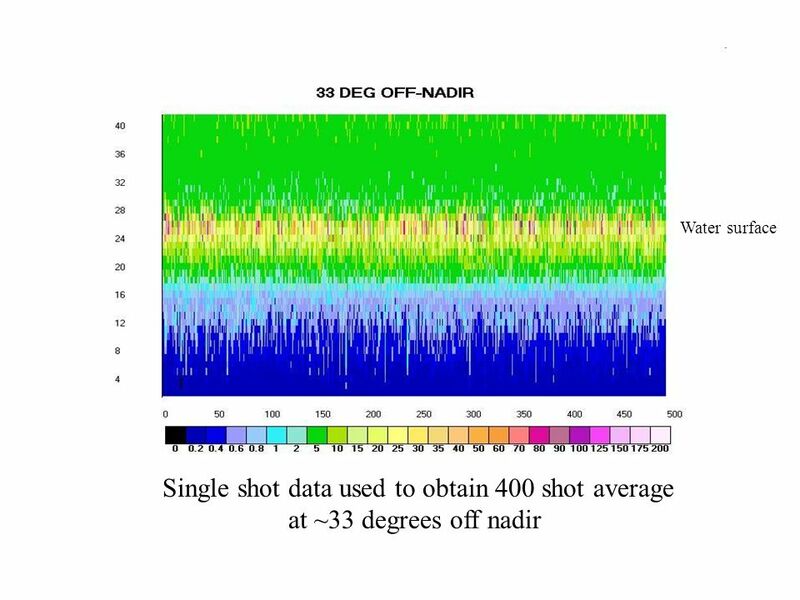 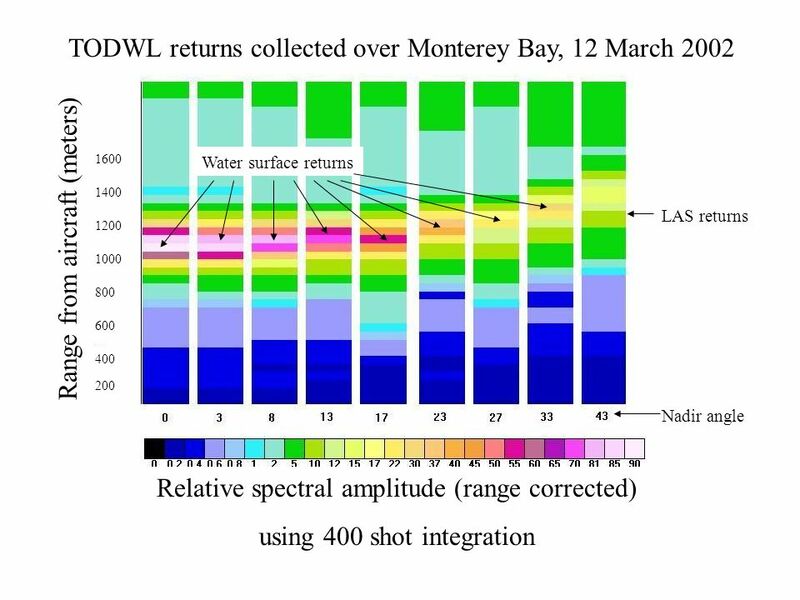 CALWATER2 Field Study of Air-Sea Interaction and AR dynamics in Midlatitude Pacific Storms Ship (NOAA Brown) Ship Field Duration – 30 days Time Window. 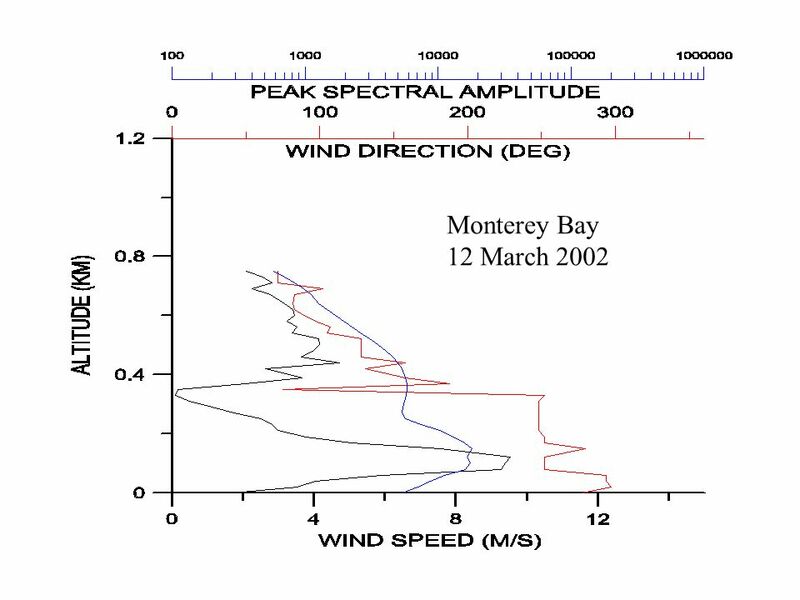 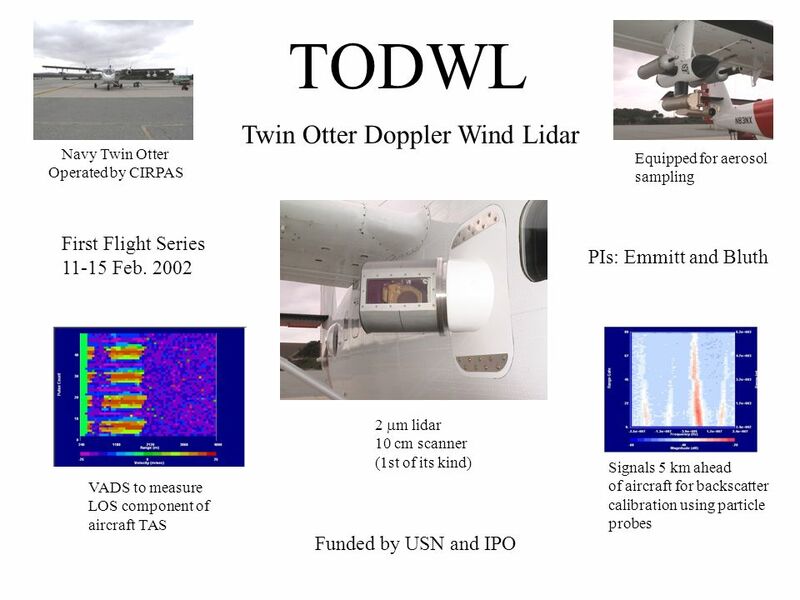 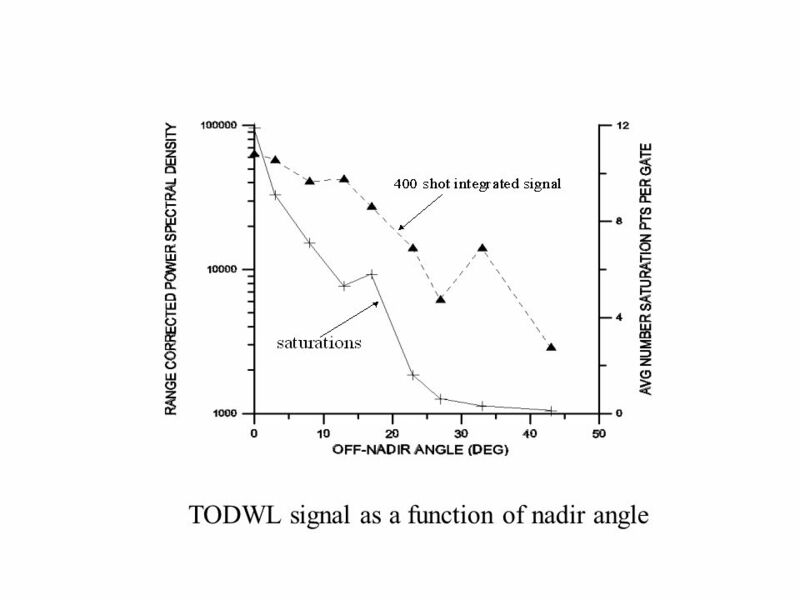 NPOESS P 3 I Space Demonstration of 3D wind observations using Doppler Wind Lidar (DWL) DWL Mission Definition Team April 18, 2005 21 April 05.